Our Red Dragon HEMA Synthetic Sparring Langes Messer is designed for the rigours of the HEMA salle and is practically unbreakable. 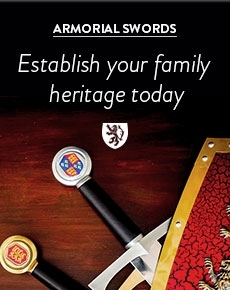 Its combination of durability and value for money make it a popular choice for HEMA schools around the globe. It comes in modular form with many options for customisation and is perfect for beginners. We have been working hard with plastics experts to formulate a new grade of high impact plastic for our messer/cutlass blades. After extensive testing we are now convinced we have produced a virtually indestructible blade! Well, we haven’t managed to break one yet! Rest assured this change has not affected the flexibility or weight of the blades. Our Red Dragon HEMA Synthetic Sparring Langes Messer is based on the fearsome Germanic slashing weapon of the Late Middle Ages and Renaissance periods. The Messer was a term for the class of single-edged bladed weapons, deriving from the medieval falchion and preceding the modern sabre. It was part of the curriculum of several fencing manuals in the 14th and 15th centuries, including Lecküchner, Codex Wallerstein and Albrecht Dürer. The interchangeable guard features a nagel and can be easily changed for right or left-handed people. With the addition of a Scent Stopper Pommel, this item can be converted into a standard Messer. 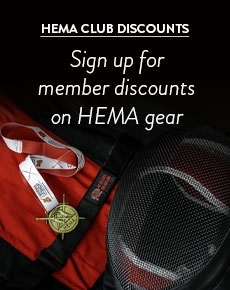 Buy the Red Dragon HEMA Synthetic Sparring Langes Messer with confidence from the UK’s leading HEMA equipment retailer.